New operation looks to boosts Fujitsu’s AI leadership around the globe. Fujitsu has announced a major expansion of its AI business with the creation of a new company to further its research. The new Fujitsu Intelligence Technology group, headquartered in the Canadian city of Vancouver, will spearhead the Japanese firm’s work in AI. The company has invested heavily in AI over the last few years as the potential of the technology has increased hugely in industrial and manufacturing areas - some of Fujitsu’s main focuses in the coming years. 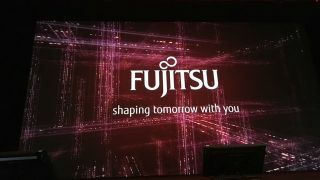 Fujitsu Intelligence Technology will look to take ideas developed by its parent company’s Japanese headquarters and build these into global products and services. Valued at around C$6m, the new company will be headed up by Naoko Yoshizawa, currently Fujitsu’s EVP vice head of digital services business. The size of the workforce is not yet known, but the unit started work on November 1. The group will look to collaborate with a number of local research institutions such as the University of Toronto, to further its work. “Canada is very proud that Fujitsu has chosen Vancouver for its Global AI Headquarters,” said Ian Burney, Ambassador of Canada to Japan.